This dataset is collected for the purpose of Jingju structural segmentation research. You can download the metadata and structural segmentation annotations at the following links. This dataset accompanies with a research paper which we will update soon. Segmentino is a Vamp plugin for automatic music structural segmentation, based on an algorithm first used in Mauch et al. 's paper on Using Musical Structure to Enhance Automatic Chord Transcription. Version 1.0 was run in MIREX 2013 (results here). Segmentino project page on SoundSoftware. If you want to start right away, you can download readily compiled binaries for Windows and Mac OSX (Intel) (see here). 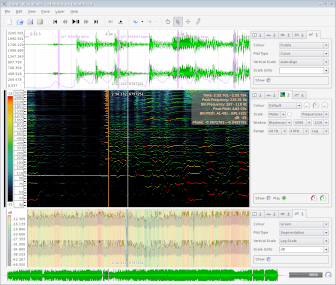 Then just use them in a host such as Sonic Visualiser or Audacity, which are also open source. A video of the installation on a Mac is available here. 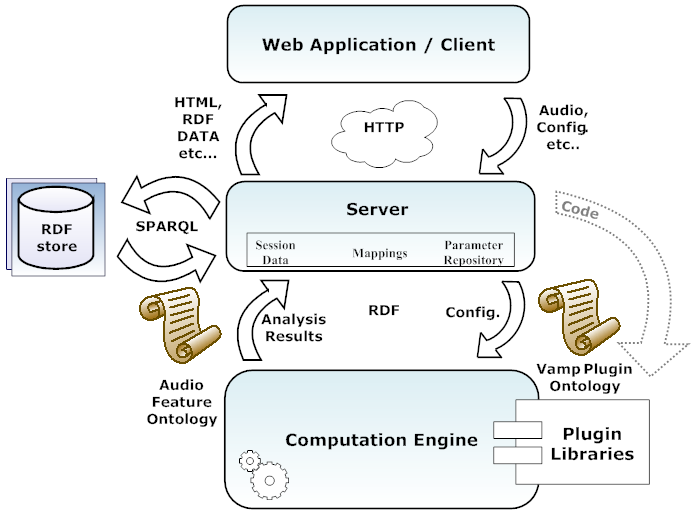 Sonic Annotator Web Application (SAWA) is a simple framework for writing Web-based applications involving audio analysis. 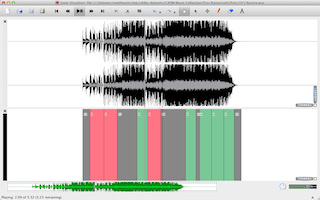 A set of plugins for feature extraction from audio data, using the Vamp plugin format suitable for use in programs such as Sonic Visualiser and Sonic Annotator.